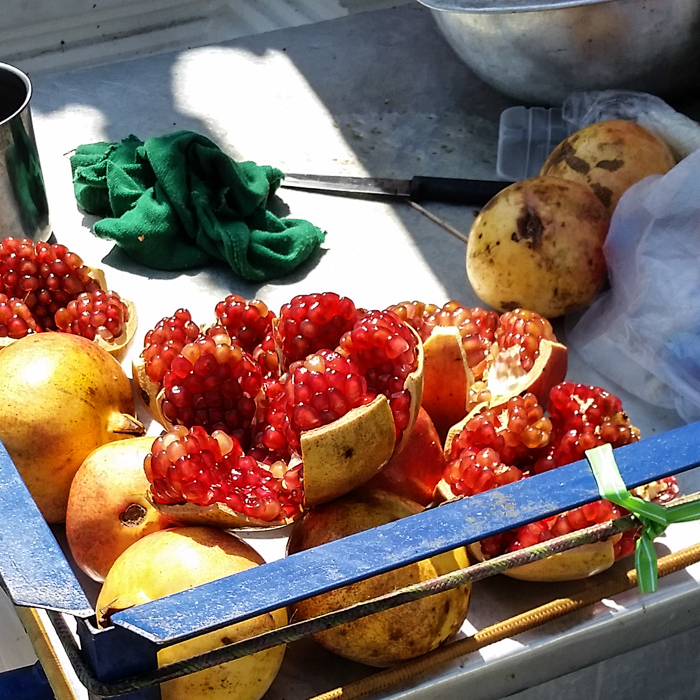 This entry was posted in Travel and tagged Bangkok, Thailand on February 12, 2015 by frjfkauffmann. 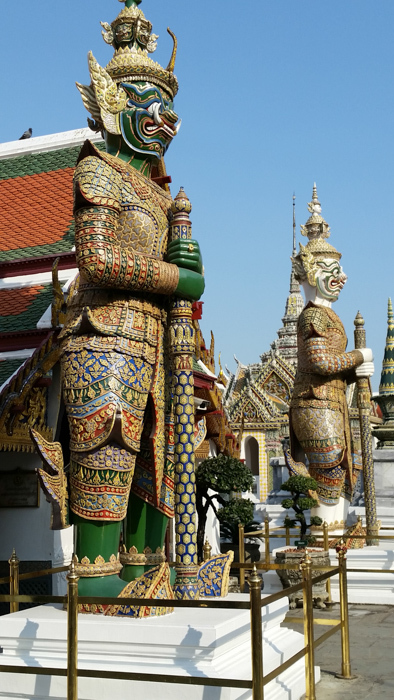 This entry was posted in Travel and tagged temples, Thailand on February 12, 2015 by frjfkauffmann. When the flight was nearing Bangkok the musical themes from The King and I and the Bridge on the River Kwai continued to resonate in my mind. 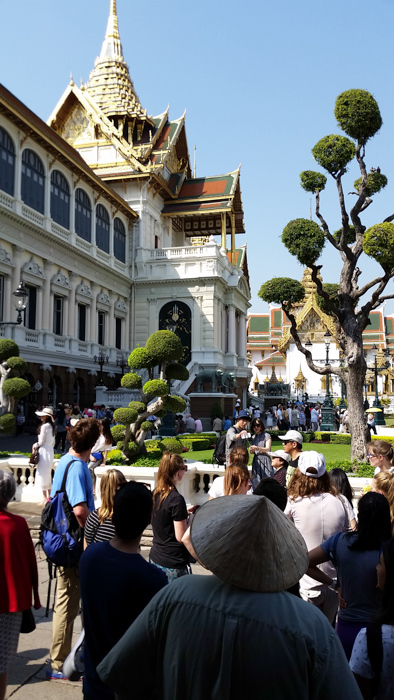 And this morning we entered into the world of 19th century Siam at the Grand Palace. The movie The King and I which captured my imagination as a child in the 1950’s so insulted the Thai people that it was banned from being shown in Thailand. 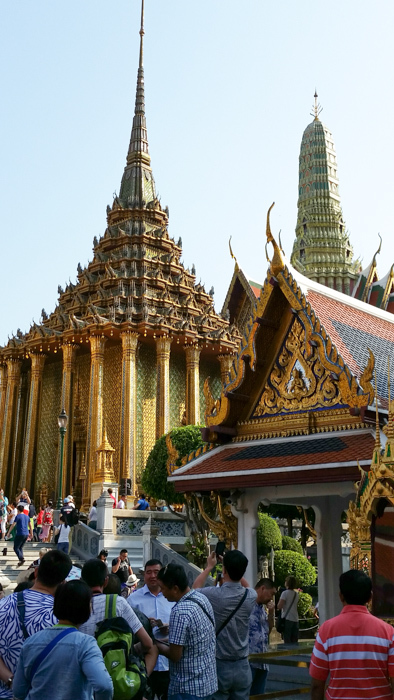 Despite the fact the musical and the movie were based on historical and cultural distortions my mind continued to imagine scenes from the movie that was set in the Grand Palace. After all it was King Rama IV who ruled from the Grand Palace and opened up Thailand to the west and it was this King who was the King whom Yul Brynner portrayed in the movie. The Upper Terrace. 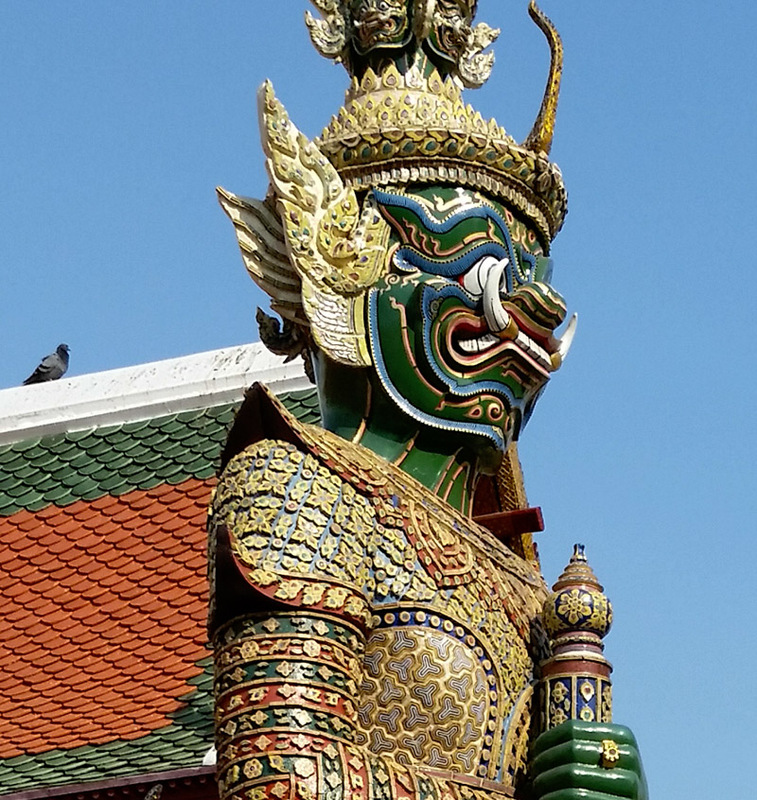 Has statues of mythical beings guarding the palace. The Mondrop. 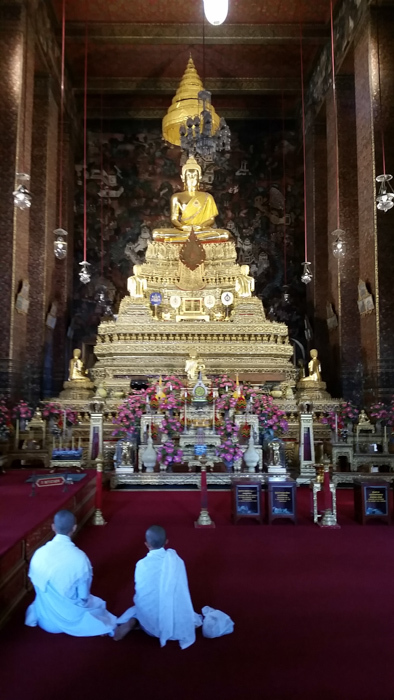 A repository for Buddhist scriptures. 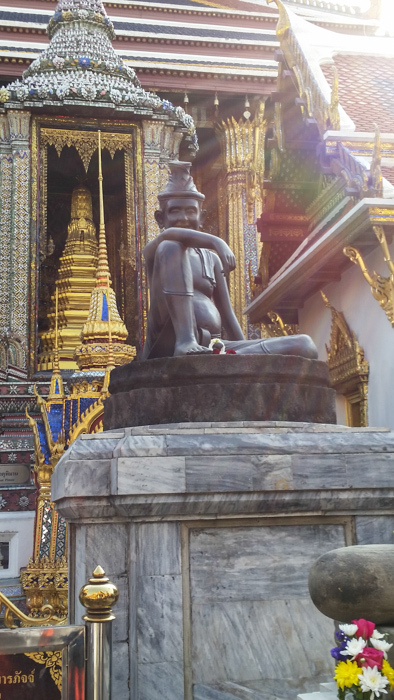 This is the Emerald Buddha. 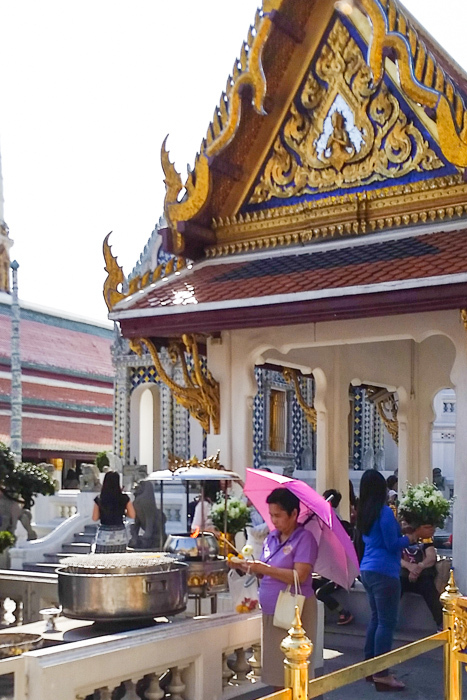 This is one of the most venerated sites in Thailand. The image is clad in one of three seasonal costumes. The Buddha is carved from jade. 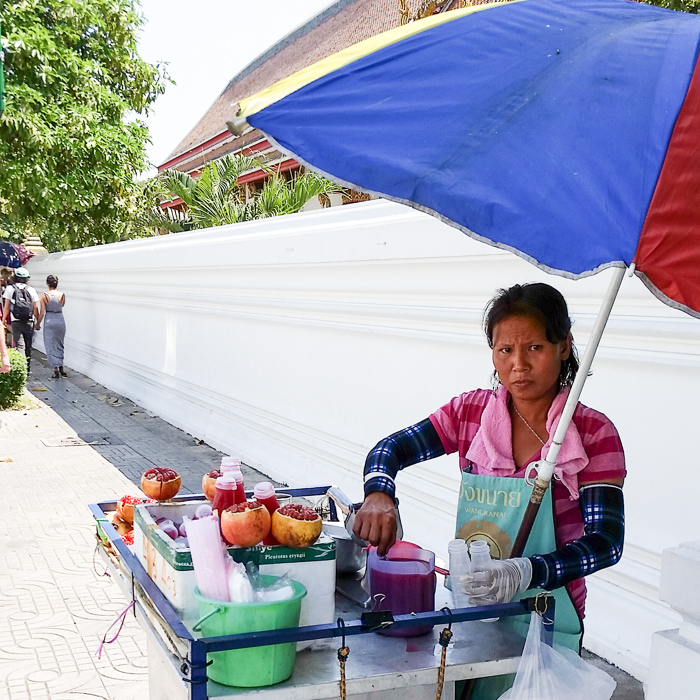 Outside of the (Emerald Buddha) shrine, a devotee making an offering. 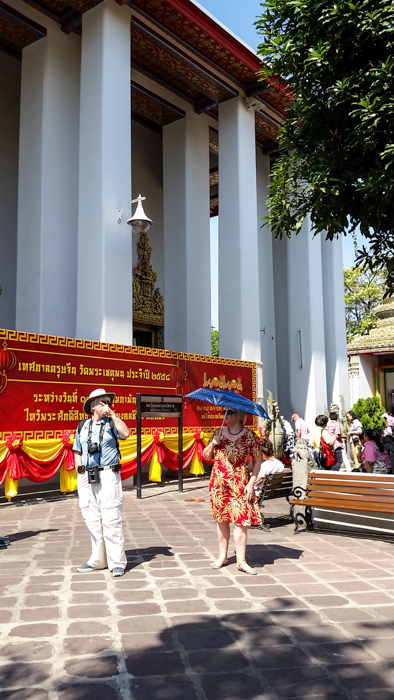 This reception hall was built by King Rama V in 1882. 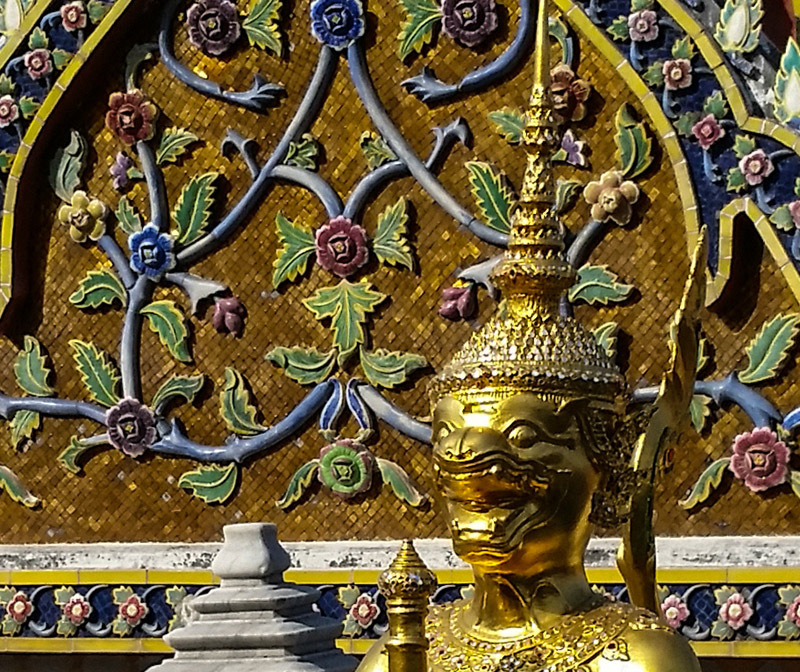 This entry was posted in Travel and tagged Buddha, Thailand, travel on February 12, 2015 by frjfkauffmann.